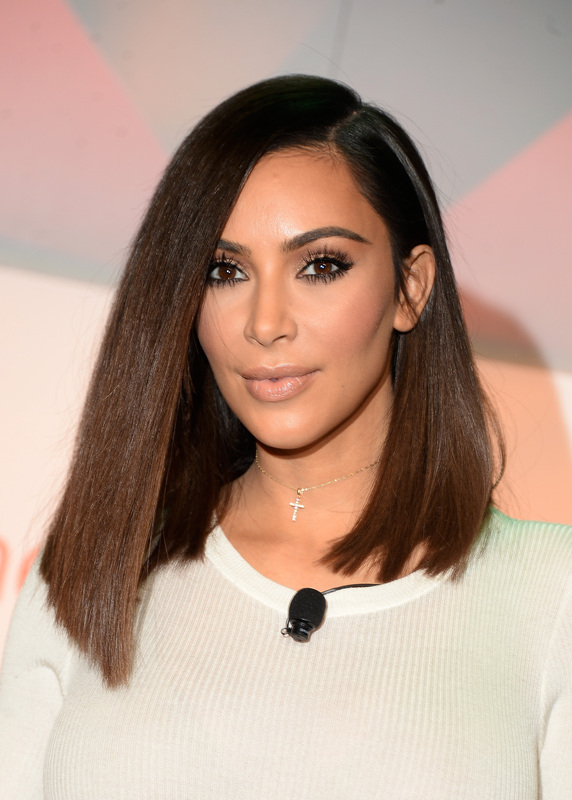 The moment Kim Kardashian fans have been waiting for all month has finally happened. After being robbed at gunpoint in France, Kim Kardashian has stayed absolutely silent on every form of social networking as she took time off to live her life privately, but that's officially over now — or, at least, it was over for a while there. On Monday, Kardashian returned to social media via Facebook, sharing the first new posts on her page since October 2, the day before her attack, but by Tuesday afternoon, her new Facebook posts were deleted. Even though Instagram and Snapchat are usually her mediums of choice for keeping fans updated, it actually makes a lot of sense that she would chose Facebook this time, even if she did end up deleting the posts. On Facebook, there were two posts linking out to her app and website, and a post that showed Kardashian posing with her phone and her famous light-up LuMee case. As People points out, this photo wasn't recent — it was probably taken awhile ago since her old Blackberry Bold is in her lap. All these details seem to confirm the rumors that Kardashian is planning to pull back from social media rather than continue to be an open book for all her followers, and it's not a bad idea. However, not long after the photo was posted, it disappeared, along with the two other posts. Either way, Facebook was still the perfect baby step for her to take online, even if her photo is no longer available.Social media may take many forms, but the bottom line is that you're sharing parts of your life with friends and strangers, hoping to start a conversation — or at least collect a few likes on that photo of your cat. But that's where the similarities between platforms stop. Facebook is where you're friends with your parents, your coworkers, and your third grade teacher; people tend to be a lot more positive and mellow there, and there's a lot less over sharing than there once was. On Instagram and especially on Twitter, people are more likely to share what they're really thinking — the good and the bad. It's easier to hide there than Facebook, where your parents could potentially see you needlessly mean to a celebrity. So what does this have to do with Kardashian? She got mostly positive responses on Facebook while her posts were there, and if she'd shared her first post back anywhere else, that probably would not have been the case. There's been a lot of victim blaming when it comes to her robbery, which just isn't fair, and that undoubtedly would have come up in the comments on any other site. So instead, she chose a kinder audience, and hopefully, that positive, encouraging feedback will help her heal, even if the post was ultimately deleted... and hopefully decide to come back to Instagram, Twitter, and Snapchat when she's ready. And being that the photo was old, these are all signs that Kardashian is still keeping the world at arm's length. And after everything she's been through, who could blame her? But maybe if Facebook becomes her safe place, she'll be able to branch out and return to her old self and her old life soon. I'm rooting for her!